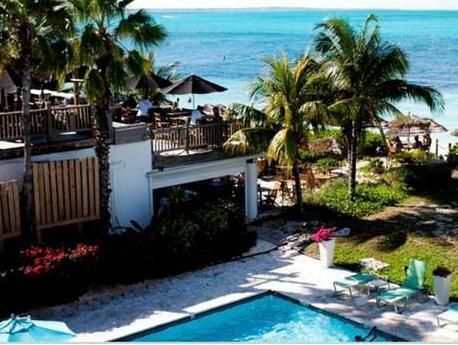 ﻿ Best Price on Coral Gardens on Grace Bay in Providenciales + Reviews! Coral Gardens on Grace Bay is on the beautiful coastline of Grace Bay and includes quick beach access, free Wi-Fi and 2 outdoor pools. This property also has an on-site restaurant. Each room and suite at this modern, tropical property comes equipped with air conditioning, a cable TV, safe and a private bathroom. Suites feature a full kitchen and dining area. The hotel’s Somewhere Café and Lounge serves Tex-Mex cuisine and is open for breakfast, lunch and dinner. There are other dining options within one mile of the property. Coral Gardens on Grace Bay also has a concierge service, and the hotel’s tour desk can help guests arrange outdoor activities like snorkeling and bird watching. The 200-year-old Cheshire Hall ruins are a 15-minute drive away, and “The Hole” swimming area is 6.4 miles away. Providenciales International Airport is a 12-minute drive away. Please be advised that for any refunds done by the property there is a 5% credit card processing fee. This property has 3 stories, which are accessible by stairs only. Some suites have stairs within the unit. For guests preferring not to climb stairs,there are ground floor units available. Kindly contact the property with any questions. Please inform Coral Gardens on Grace Bay of your expected arrival time in advance. You can use the Special Requests box when booking, or contact the property directly using the contact details in your confirmation.